Tobias Bolch, U. K. (2006). "Glacier Mapping in High Mountains Using DEM’s, Landsat and Aster Data." Grazer Schriften der Geographie und Raumforschung41: 37-48. This paper tackles the problem of debris-covered ice in the Swiss Alps through analysis of Aster-derived DEM’s of high mountain regions were good DEM’s don’t exist. -The paper says there are accurate DEM’s of 25m horizontal resolution for the entire Swiss Alps but that doesn’t seem like a very high resolution to me. -This paper cites a paper by Ranzi in 2004 that documented the potential of using the thermal signature of Landsat and ASTER for debris-covered mapping of ice. -Dikau et al 2005 and Bishop 2001 present a way of mapping debris-covered ice using SPOT DEM’s and a model of elevation, slope, aspect, and curvature. -Paul et al. in 2004 used the TM4/5 ratio and slope to map debris-cover. I need to check out this paper for sure. -To me it looked like they had some pretty significant standard deviations with their ASTER and SRTM3 DEMs. +210m?? This seems like a lot to me. -Bolch prefers the TM4/5 ratio over that of the TM3/5 (which did show debris-covered ice areas) because it is more accurate, but he still notes that by employing only the ratio images the glaciated areas are about 5% too small requiring additional manual mapping. This is noteworthy. I should do a comparison much like this paper does with SGI to glacier outlines produced for GLIMS of Rainier and Hood by other authors like Andrew Fountain. -Bolch calculated slope angles and set the threshold to 24 degrees which helped to identify smoother glacier parts, especially in the ablation zone. -It is hard to distinguish between glacier terminus and outwash plain and glaciers without any lateral moraines are difficult to dilineate. -In this study using only the slope for morphometric analysis led to misinterpretations of the glacier terminus and lateral moraines because the SRTM and ASTER DEM’s were too low resolution but perhaps it would work with LiDAR?? -Bolch came up with a pretty cool cluster analysis of plan and profile curvature using a “SAGA” software to come up with classes of curvature which were then reduced to a few clusters which resulted in an improved glacier dilineation of debris-covered parts. He says that the method could be used for mapping of the accumulation zone or small mountain glaciers but he notes both are often free of debris-covered ice so the ratio image method is best. Ultimately it seems like the MGM method is more appropriate for valley glaciers. Bolch Notes that ASTER-derived DEM’s are useful for multitemporal glacier monitoring but I feel like their resolution is too small for anything but decadal studies and ASTER hasn’t been around as long at Landsat so going back far in time won’t be possible. Although expensive LiDAR would probably be the best choice for using the MGM method described in this study. Bolch said the best method would be the TM4/5 ratio in combination with a multispectral image analysis (perhaps using ASTER) to eliminate misclassified pixels. I should do this. Concludes by saying there are ongoing studies that focus on the use of an automated MGM approach for mapping debris-covered glaciers. A note – This paper seemed to focus on mapping very large areas at very coarse resolutions whereas my study is on single peaks with small mountain glaciers. I don’t have the “SAGA” software at my disposal that is used in this study for the MGM curvature analysis but perhaps using slope with the LiDAR DEM may help to distinguish the extent the debris-covered glacier for at least the year the LiDAR was collected as a reference. I also think I could use ASTER to help classify the years I pick of TM for my analysis to help clean up any wrong pixels or fill in areas “manually” as they say . Another note – Papers such as this loosely throw around the term “manually” which to me sounds a little vague on how they do it. Is it based on digitizing which is just their own interpretation and doesn’t this introduce possible error that needs to be accounted for? BOLCH, T., KAMP, U. and OLSENHOLLER, J., 2005: Using ASTER and SRTM DEMs for studying geomorphology and glaciation in high mountain areas. New Strategies for European Remote Sensing. M. Oluic (Ed.) Millpress, Rotterdam, 119-127. DELLA VENTURA, A., RAMPINI, A., RABAGLIATI, R. and BARBERO, R. S., 1987: Development of a satellite remote sensing technique for the study of alpine glaciers. International Journal of Remote Sensing 8, 203-215.
characterization. IEEE Transactions on Geoscience and Remote Sensing 28, 766-769. 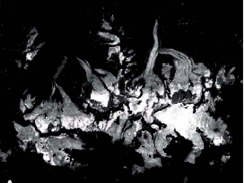 KÄÄB, A., HUGGEL, C., PAUL, F., WESSELS, R., RAUP, B., KIEFFER, H., KARGEL, J. S., 2003: Glacier monitoring from ASTER imagery. Accuracy and applications. EARSeL eProceedings 2 - Observing our cryosphere from space, 43-53. OERLEMANS, J., 1994: Quantifying global warming from the retreat of glaciers. Science 264, 243-245. PAUL, F., 2000: Evaluation of different methods for glacier mapping using Landsat TM. EARSeL eProceedings 1 - Land Ice and Snow, 239-245. Journal of Remote Sensing 23, 787-799. PAUL, F., HUGGEL, C. and KÄÄB, A. 2004: Combining satellite multispectral image data and a digital elevation model for mapping of debris-covered glaciers. Remote Sensing of Environment 89, 510-518. RANZI, R., GROSSI, G., IACOVELLI, L. and TASCHNER, T., 2004: Use of multispectral ASTER images for mapping debris-covered glaciers within the GLIMS Project. IEEE International Geoscience and Remote Sensing Symposium 2, 1144-1147. SIDJAK, R. W. and WHEATE, R. D., 1999: Glacier mapping of the Illecillewaet icefield, British Columbia, Canada, using Landsat TM and digital elevation data. International Journal of Remote Sensing 20, 273-284.